Below you will find some of our favorite recipes! Hope you enjoy as much as we do. 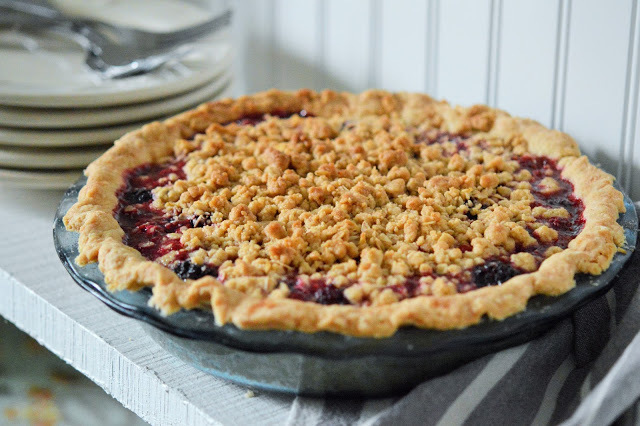 Blackberry Crumble Pie, Oh My! by Angie Lynd WilcoxBlackberries. Juicy, soft, bursting with a tangy sort of sweetness. Countless days during my summers have been spent on the farm, picking these delightful, edible jewels. Not once have I left the patch without crimson-stained hands and traces of purple around my mouth. If you have never had this delightful experience, you are in luck. The blackberry patch at Blue Frog Farm is in peak season right now, ready for you to join in the fun of picking your own berries. 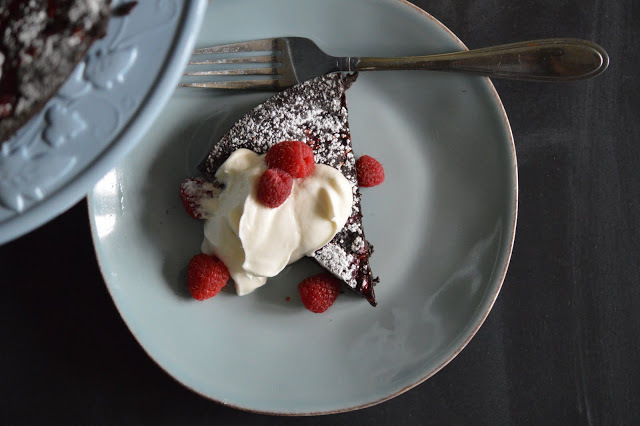 Flourless Chocolate Raspberry Cake by Angie Lynd WilcoxHere we are. Summer, finally. The time of year for family gatherings, backyard get-togethers and lots of fresh produce! At the farm right now, you will find row after row of juicy, tangy-sweet, red raspberries. Best of all, you can enjoy the satisfying experience of picking your own berries at Lynd's Blue Frog Farm. Corn Salad by Connie BlanchetteA lunchtime favorite for tour guides at Lynds! Cranberry Apple CrispBy Carolyn Swisher. Like family since 2005. Market Deli Manager, School Tour Guide and Pick Your Own Greeter. Apple Lover’s Mac & Cheese by Don BurkeyBy Don Burkey. Like family for 11 years. School Tour Guide and You-Pick Greeter.